The Blackwell Guide to the Philosophy of Religion features new essays written by some of the most prominent philosophers working in the field. - Contributors include: Linda Zabzeski, Hugh McCann, Brian Leftow, Gareth B. Matthews, William L. Rowe, Elliott Sober, Derk Pereboom, Alfred J. Freddoso, William P. Alston, William J. Wainwright, Peter van Inwagen, Philip Kitcher and Philip Quinn. 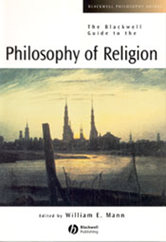 - Provides a comprehensive treatment of the major problems in the philosophy of religion. - Surveys the field and presents distinctive arguments.